Troubled by serious issues such as seborrhoeic dermatitis or psoriasis? Are they giving you dandruff and making your scalp itch? Are you looking for the best possible solution to tackle these issues? Don’t worry, you’ve come to the right place. Have you ever heard of coal tar shampoos? Coal tar is a byproduct of the carbonization and gasification of coal. It is found in many hair care products like shampoos, soaps, and gels. Coal tar is a keratolytic agent that prevents rapid multiplication of epidermal cells. Therefore, it serves as an elixir for dry, scaly, flaky, and itchy scalp conditions due to its antiseptic and disinfectant properties. Here are the 10 best coal tar shampoos available on the market right now. 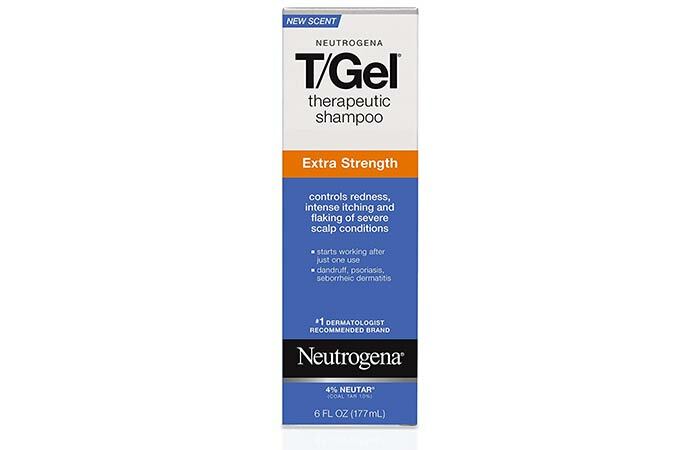 Neutrogena T/Gel Therapeutic Shampoo is popular for its strong formula containing Neutar technology and 1% coal tar extract that are proven to enhance scalp health. It reduces dryness, redness, and intense itching of the scalp, besides providing relief from the symptoms of chronic psoriasis, dandruff, and seborrhoeic dermatitis. This deep cleanser is certified by the National Psoriasis Foundation as an effective scalp therapy. 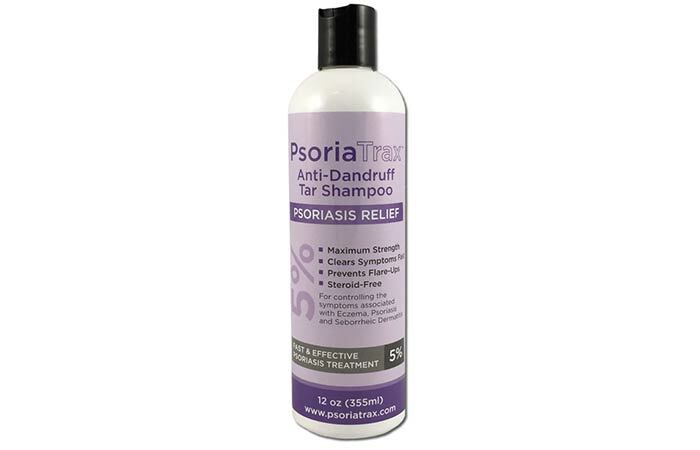 PsoriaTrax Anti-Dandruff Tar Shampoo is claimed to be the most effective shampoo for relieving the symptoms of psoriasis. It contains 5% coal tar and other potent ingredients that help control the symptoms of psoriasis and seborrhoeic dermatitis. It imparts strength to your roots and controls hair fall. It also improves the texture of your hair. 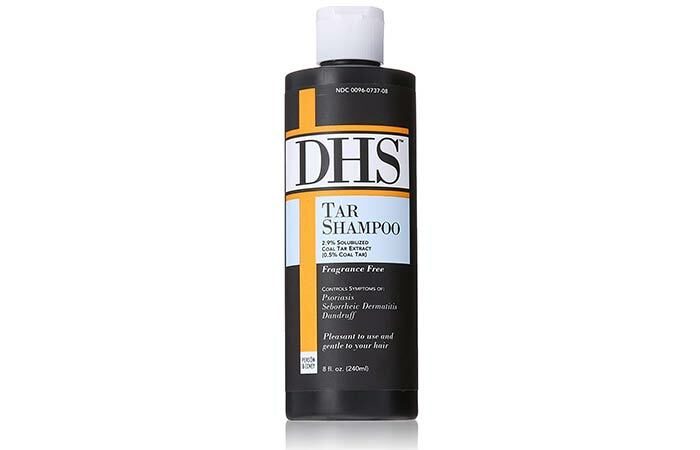 However, this shampoo can be used only after consulting a dermatologist. 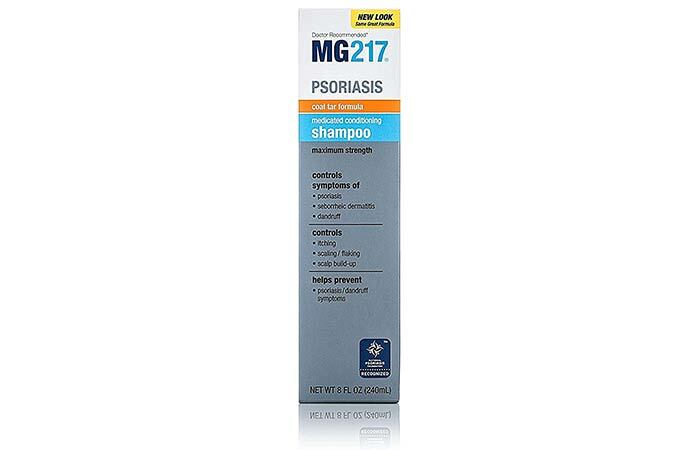 MG217 Psoriasis Medicated Coal Tar Shampoo helps in reducing redness, irritation, inflammation, and dryness on the scalp. It contains 3% coal tar, and it doubles up as a conditioner. It nourishes your hair, making it appear smooth and healthy. This shampoo not only controls the symptoms of psoriasis and seborrhoeic dermatitis but also prevents their recurrence. 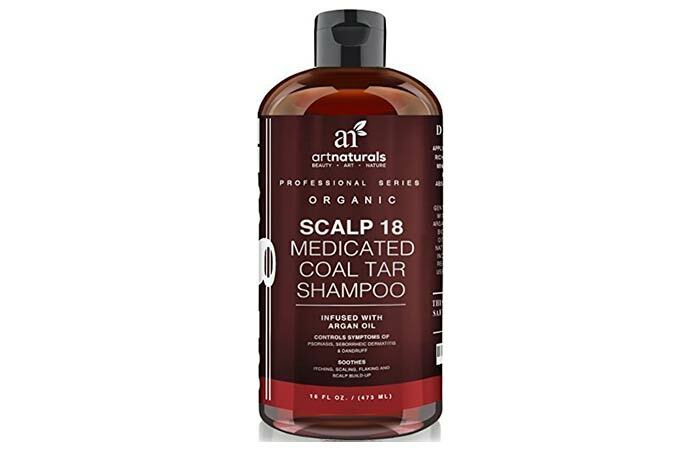 Art Naturals Scalp 18 Medicated Coal Tar Shampoo is infused with all-natural oils and is known for its hydrating properties. Its coal tar component helps in treating a flaky and itchy scalp. It also helps in controlling the symptoms of psoriasis and eczema. This shampoo is enriched with 100% natural oils. It repairs your damaged hair and restores its health, thereby adding luster to it. 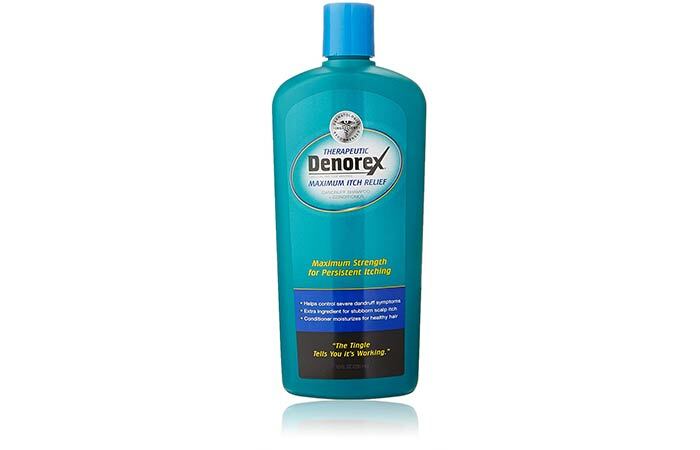 Denorex Therapeutic Maximum Itch Relief Shampoo heals your scalp and conditions your hair simultaneously. It helps in controlling severe dandruff and provides maximum strength to fight an itchy scalp. It soothes and moisturizes your scalp and reduces dryness and itching. It makes your scalp tingle while foaming, which indicates that it is working perfectly. This dermatologist-recommended shampoo helps in treating dandruff, psoriasis, and seborrhoeic dermatitis. It claims to lessen the dryness, itching, and flaking on your scalp in a single hair wash. It also conditions dry and damaged cuticles, leaving you with soft, silky, and shiny hair. It clears bacteria and keeps your scalp healthy and refreshed. 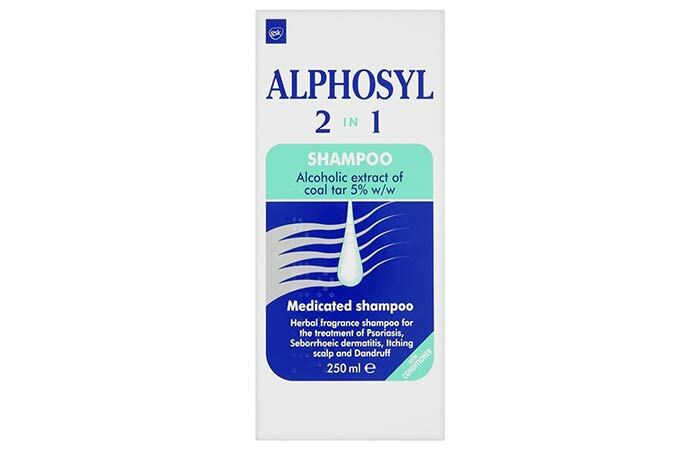 The alcoholic extract of coal tar present in Alphosyl 2 in 1 Shampoo serves as an anti-scaling agent that helps treat dandruff and dryness on the scalp. This conditioning shampoo gives you soft and manageable hair in a single wash. It also strengthens your hair and promotes healthy hair growth. 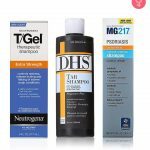 This medicated shampoo is recommended by dermatologists for treating psoriasis and seborrhoeic dermatitis. 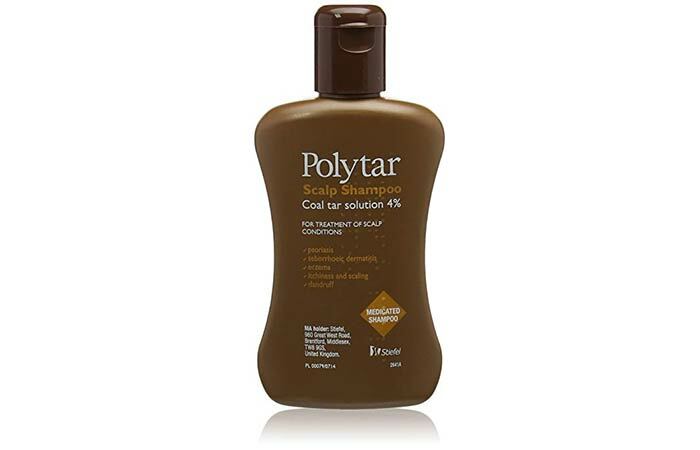 Polytar Scalp Coal Tar Shampoo is an antiseptic shampoo that is widely known for treating dandruff, psoriasis, eczema, and seborrhoeic dermatitis. It eliminates flaking and reduces the drying on your scalp. It reduces inflammation instantly and keeps your scalp hydrated for hours. This formula is created for sensitive scalp and hair types. It conditions your hair while being mild on your scalp. 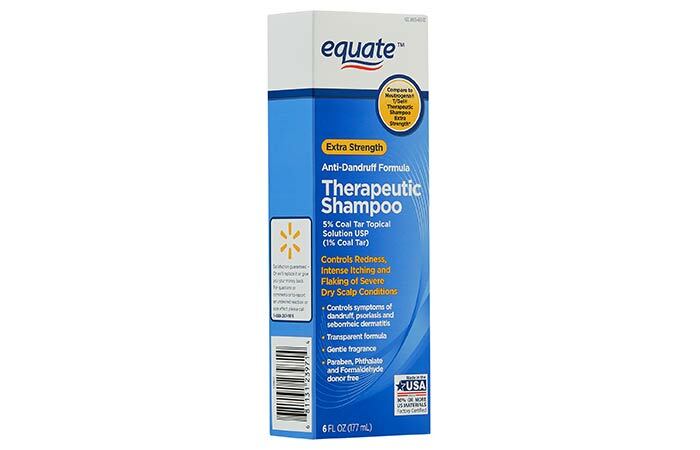 Equate’s Original Therapeutic Shampoo is based on an anti-dandruff formula that provides long-lasting relief to a dry, flaky, and itchy scalp. The ingredients in this shampoo continue to work even after rinsing it off your hair. It gently cleanses your hair without stripping away its natural oils. It contains 1% coal tar that instantly soothes your scalp. It also clears dirt and residues and keeps your scalp squeaky clean. 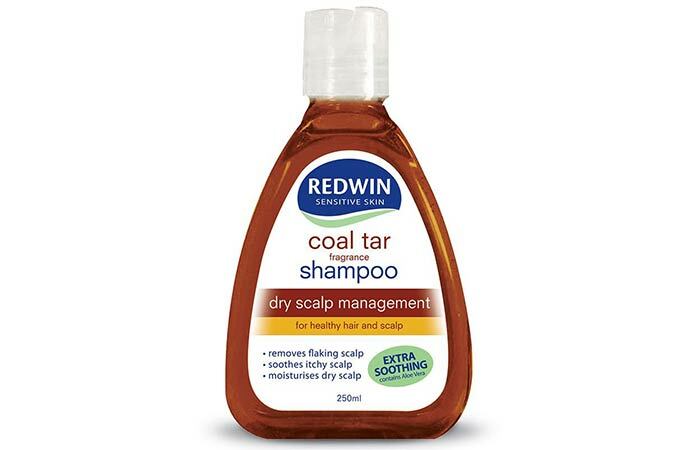 Redwin Coal Tar Shampoo is specially made with aloe vera and birch extracts. It moisturizes your itchy scalp, reduces flaking, and acts as a conditioner and an exfoliator. This pH-balanced formula also helps in restoring and maintaining the health of your hair and scalp. It promotes healthy hair growth and imparts noticeable shine to it. It also nourishes your hair and repairs damaged cuticles. Treat your dry, scaly, and itchy scalp right away with any of these amazing coal tar shampoos and let us know about your experience in the comments section below. Many a times, people forget that the scalp is essentially skin too It can get affected with the regular skin issues too – scalp psoriasis being one of them.